I’ve waited all year to recreate this recipe. It’s my favorite side dish of all time. Why I needed to wait until Thanksgiving to recreate it? I don’t know, just seemed right. 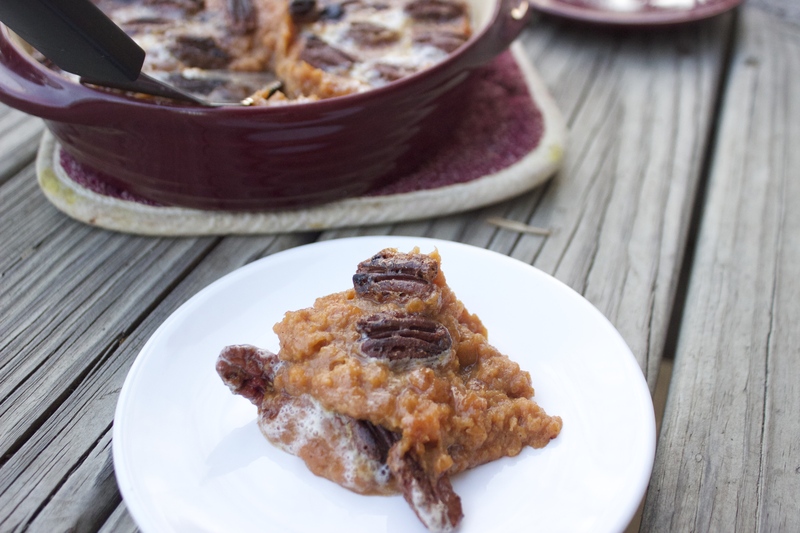 I hope you love sweet potato casserole as much as I do because if you don’t…I mean, I guess you’re missing out. I could eat like this whole recipe in one sitting with just the slightest amount of guilt. Okay…I’ve had like half of this and I’m sitting here right now and can’t breath because full. Ow. I hate being full, but I love eating lots of food. The struggle is real. 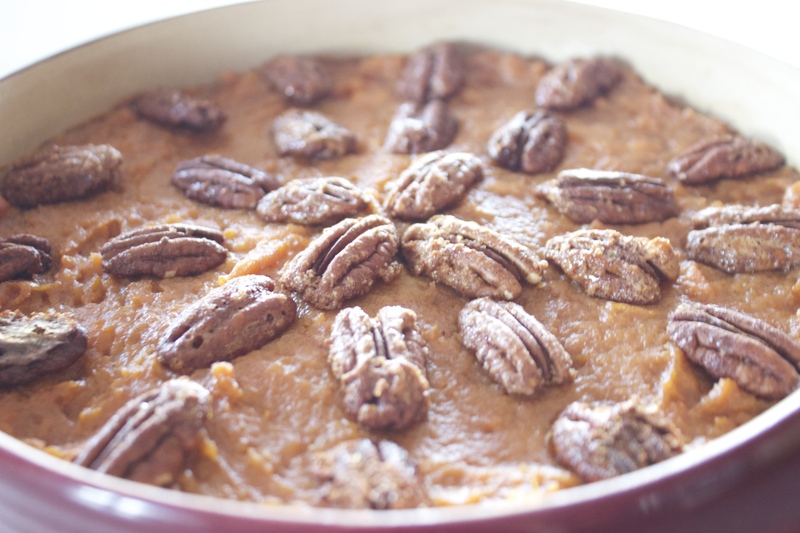 However, this sweet potato casserole is not a struggle at all. So yum. Much enjoy. So for the 5th day of Thanksgiving I’m not only thankful for this delicious sweet potato casserole, but for my family and friends who support me through all I do. Whether it be a new workout plan, a project, a goal, or dream I have for my life, they help me through it all, and I could not be any more thankful for that. I’m unbelievably lucky to have so many great people who love and care about me, and we all take that for granted more than we should. Make sure you thank your loved ones today. Stab the sweet potatoes with a fork or knife to create several holes in them. Place on a pan and bake in oven for one hour or until soft and oozing out juice. Let the potatoes cool then peel the skin off of them. Place in a bowl and mash until smooth. Add the rest of the ingredients to the bowl and combine well. When mixed, pour into a baking dish and place in the oven for 25 minutes. Take out and top with candied pecans and marshmallows. To melt the marshmallows and add a little more crisp to the pecans, broil for 30-45 seconds.